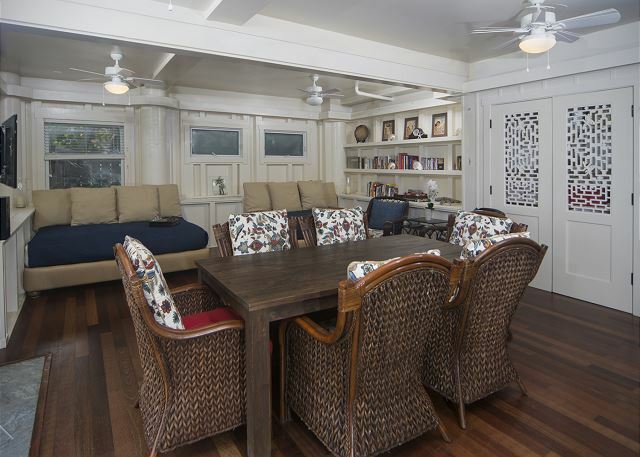 Plantation Home w/ Modern Amenities, AC on Swimming Beach | Last Min.Special! Two - Three night stays possible last minute, or between longer bookings! 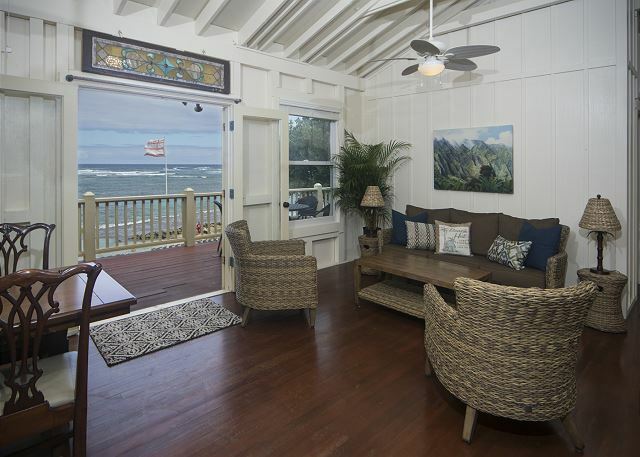 This serene 2 story beach-front home offers a taste of old Hawaii's plantation style living with all the modern conveniences. 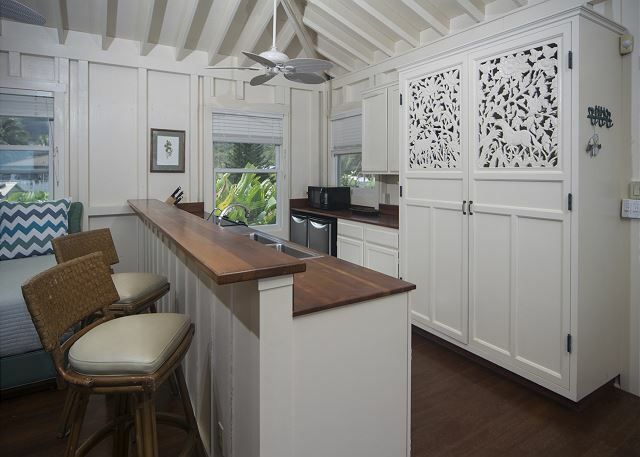 After entering the small lane, you'll find Heavenly Hauula tucked away behind a private gate. 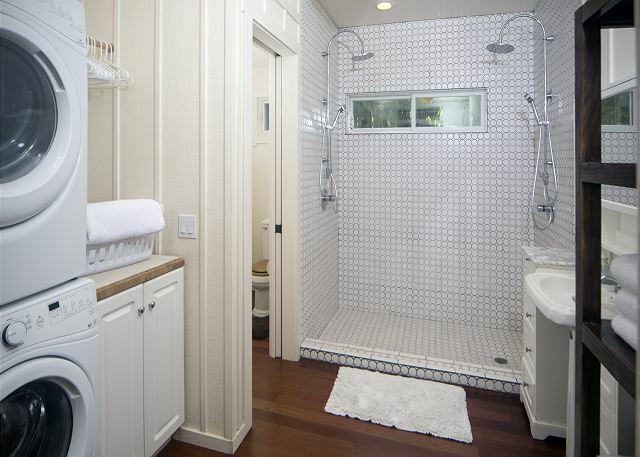 The upper level has its own private access and gracious open beamed ceilings. 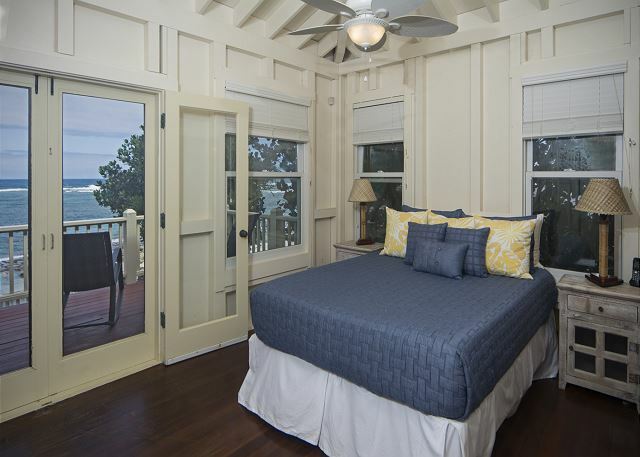 There are 2 bedrooms with their own bathrooms and flat screen TVs, a full kitchen a king sized sleeping pune'e, a dining area and a large outside lanai that overlooks the famous Alligator Pond and tide pool. Downstairs has been recently added and may be your gathering center. There are 2 Queen Sized sleeping pune'es, a large dining table, a fully equipped modern kitchen, a large bathroom with a full sized W/D, a walk in pantry, a luxury wine frig, a flat screen TV, and a portable sound system. 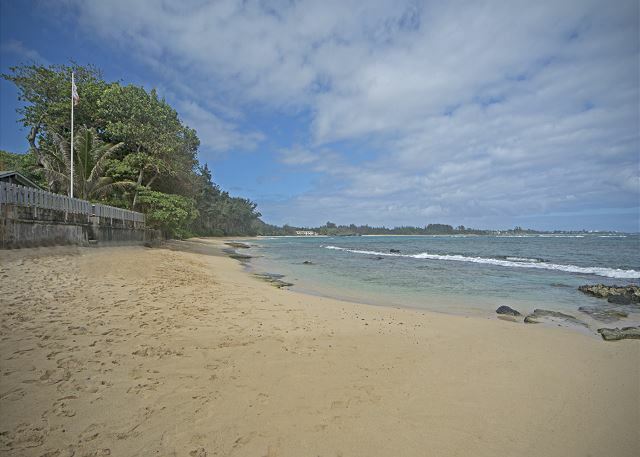 Kokololio Beach Park is located between Laie Beach Park and Hauula Beach Park on the east coast of Oahu. Enjoy various activities such as, swimming, snorkeling, and body surfing, particularly during the summer period is great fun. During the winter season, surfing and body boarding is rather popular and the surrounding is picturesque perfect. 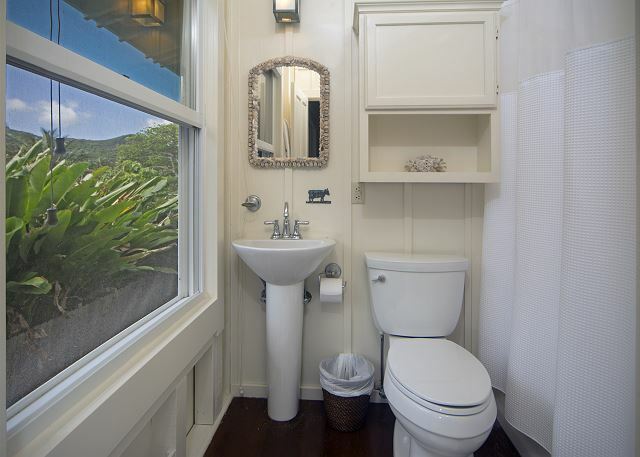 After enjoying the beach or while the stars are out, the hot and cold water private outdoor shower is indeed, heavenly. Within the area is Tamura's Market, Long's Drug Store and The Polynesian Cultural Center. 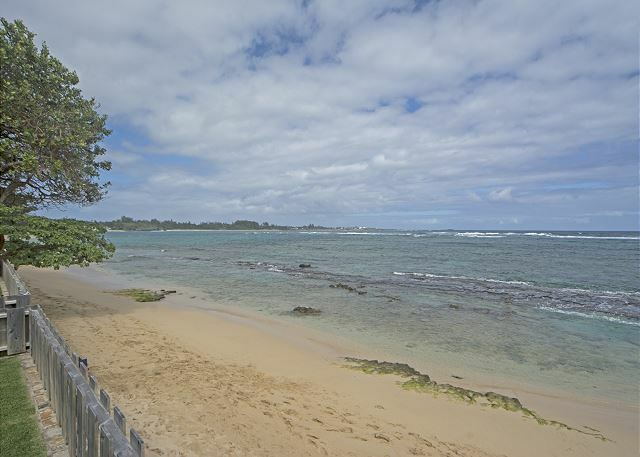 Historic Haleiwa is a 30 minute drive to the West, Turtle Bay Resort (with championship golf and dining) is 15 minutes away, and the recreation fun stop of Kualoa Ranch is 15 minutes going east. Three: 2 Queens in downstairs studio. Exactly as advertised! Easy and efficient check-in! 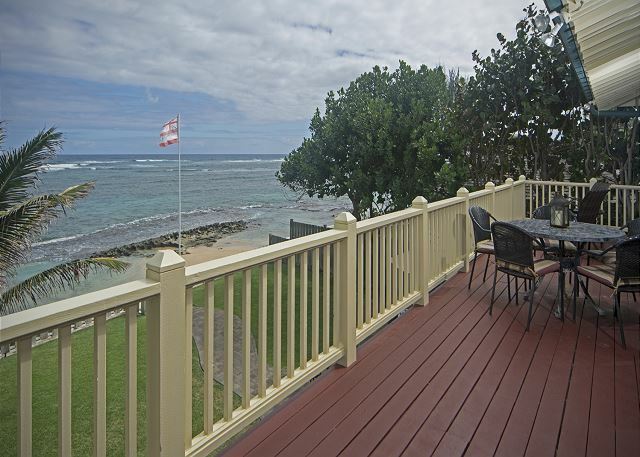 Amazing views, spacious house (we had 8 adults and 1 infant), awesome snorkeling and swimming, close to grocery and food options, the island's best Zipline by Climbworks is 5 minutes away. Will definitely stay there again! Manager Response: Thank you so much for staying with us, Drexler Family, you were such wonderful guests! We are so happy you enjoyed your time here, and look forward to seeing you again. Manager Response: William, we are so sorry for the lack of flashlights! We will get some in the house immediately. Thank you for staying with us and for taking the time to leave a review. The house is a good house for the most part. The upstairs has a separate entrance from the outside from the downstairs. Did not consider this a big deal but it rained the entire time we were there so to go in and out you would get a little wet doing it. The downstairs bathroom door has a broken track that does not allow the door to close the whole way so people in the kitchen can watch you shower. I called and emailed about this getting fixed and never got a response. The hot water runs on solar power and we were told in the check in information that there was a key to a closet to switch it to electric we never received a response in regards to the location of the key so we ran out of hot water several times due to the weather situation. The beach out back was unusable due to the rain and wind and I would be interested to know if this is a common occurrence on this part of the island? 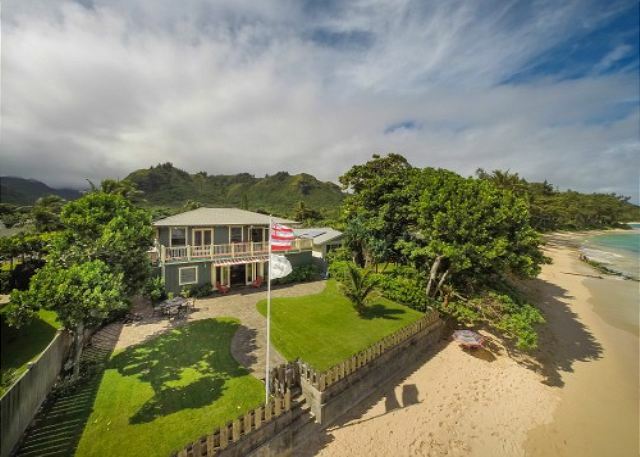 In the pictures provided for the house you can see the wind blowing the flag and the clouds. I know we had a storm system come through but when we drove to the other side of the island the storm was not as much of an issue. There is also a motion light in the back yard that was going off all night because of the wind and there are no curtains on the back door to block the light from coming in. We could not get the light to stay off. Factoring out the weather. The above problems may not have been an issue and the house would have been great. 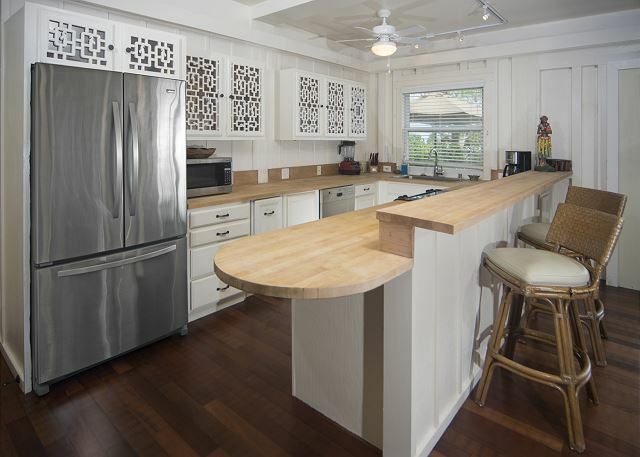 Plenty of room, chairs, beds and supplies in 2 kitchens.The access to the semi private beach is great and the view is awesome. There are shops really close by and some food places. The Polynesian cultural center is just up the road too. I would say it is a great place to stay (Fix the bathroom door) and be sure to check into the weather on this section of the island. It is possible there is a higher chance of what happened to us happening here than other parts of the island. Again if the weather was not an issue we would have really enjoyed it. Manager Response: We thank the guests for leaving such a detailed review! The weather during their stay was quite unusual, for in mid February we experienced one of the biggest storms on record. There was rain, high winds, huge surf, and the first ever snowstorm on Maui! This weather was not at all typical - in February the average temp in Hauula is 78 degrees, and 76% of the days are sunny. The high wind would cause the motion lights to go on and off, but there is a way for us to turn these off completely if they are bothersome to guests. We apologize for the door being off the track and are having that fixed immediately. Lastly, and most importantly, we are incredibly sorry that the guests were not able to reach us. 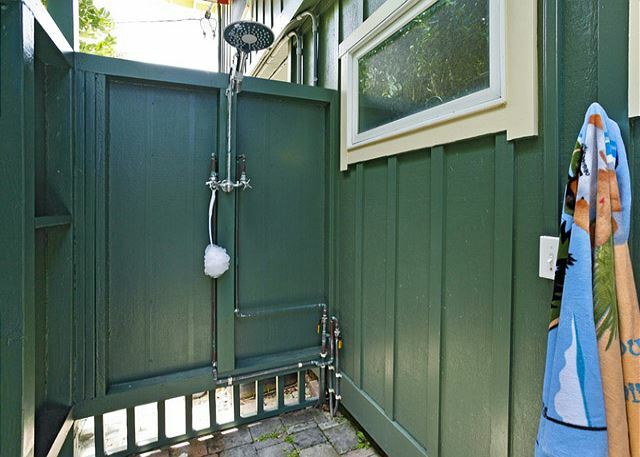 We have gone thru the phone records and emails and believe that the guests were possibly reaching out to VRBO, the website they booked the home on, and not our office. We are making changes to our move in instructions to make it clearer how to contact us, as we are available 7 days a week anytime of day or night for our guests. If prospective guests have any questions we urge you to give us a call, we are very familiar with the house, the weather patterns there, the beach and the neighborhood. This vacation home is absolutely amazing. We stayed with 6 adults, 4 kids, and 1 infant and it was the perfect size for us. The view is incredible, the beach was basically private and it was the perfect place to tide pool and feel comfortable with the little kids swimming. It is pretty rocky and slippery, so water shoes are a must, but if you walk up the beach a little bit its not rocky at all and perfect for little ones to boogy board. The weather was perfect in January. Things to note: The upstairs in not as well stocked as the downstairs and does not have a freezer. There are 2 mini fridges upstairs and I didn't find they kept things that cold. The fridge downstairs looks new and was perfect. The AC units throughout the house were perfect to cool us off when it got a little hot in the afternoon. The washer and dryer looks pretty new and worked great. The beds are insanely comfortable. The mosquitos came to bite in the evening and that was a bummer because I would have liked to stay outside on the patio much later than I was able to. There is a Longs within walking distance, and a foodland right up the road. The vibe is so relaxed and not touristy at all. We went to Waikiki one day and couldn't wait to get back to the house. 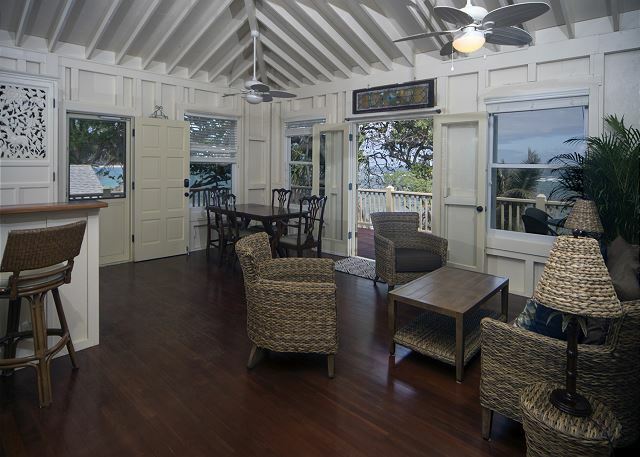 We will be making this our Hawaii Beach House for life. The sunrises and sunsets were so beautiful. Thank you Hawaii Beach Homes for an awesome experience. The most well equipped house we’ve rented. Had an amazing time, clean in a beautiful location. Have already recommended to many friends. Everything we ever dreamed of for a family vacation. 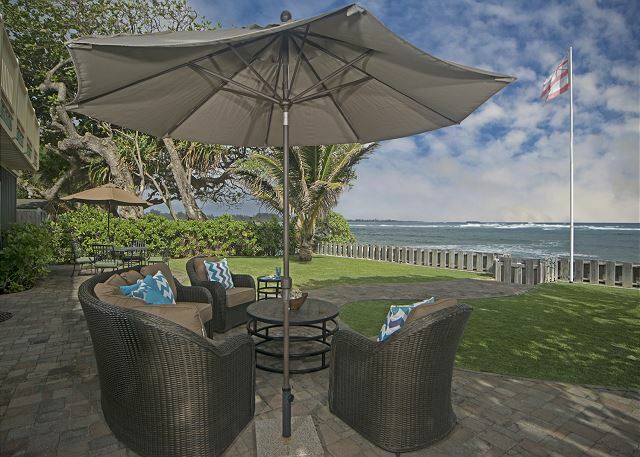 The house is amazing, the beach is incredible and it's all located in a warm inviting community of Hauula. 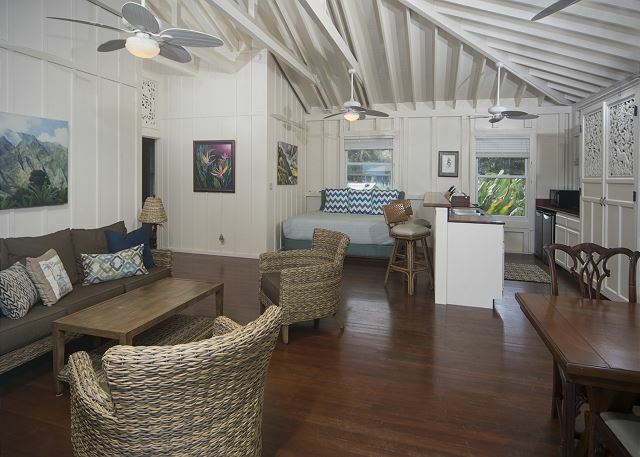 Our family and friends stayed at Heavenly Hauula - Beachfront in summer 2018. 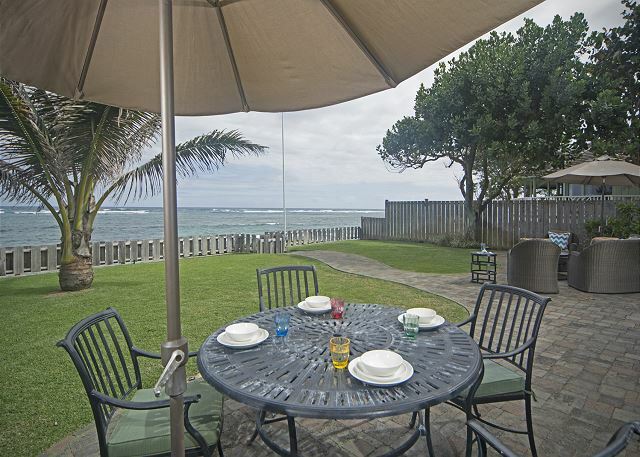 We absolutely loved everything about the property, and its beachfront access. Sleeping 10 adults, with separate upstairs and downstairs fully equipped facilities worked perfectly for us. 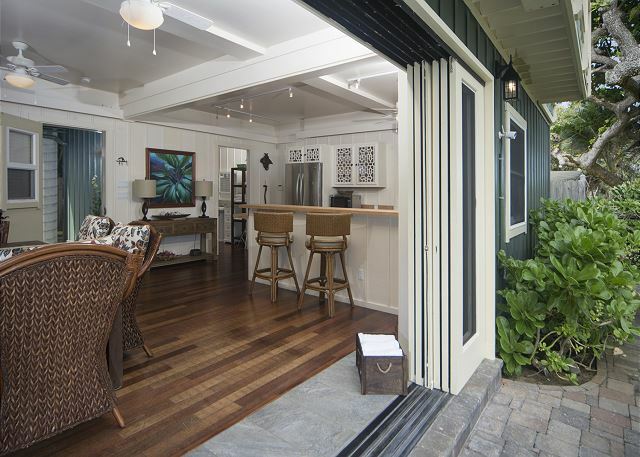 Located about 1 hours drive from Waikiki on the North Shore with easy access north and south to all that Oahu has to offer like mountain ranges, crystal blue water, and endless aquatic life. I definitely recommend this property for a family getaway. Beautiful house on a great beach. Our family loved alligator rock. Foodland very close. Two kitchens very well stocked but could use a rice cooker and a larger crockpot. Slept out 10 well beds comfortable great linens. Everyone in our party would love to come back to your great house. It is a treasure in the country. Clean, spacious house and nice yard. Great beach location. 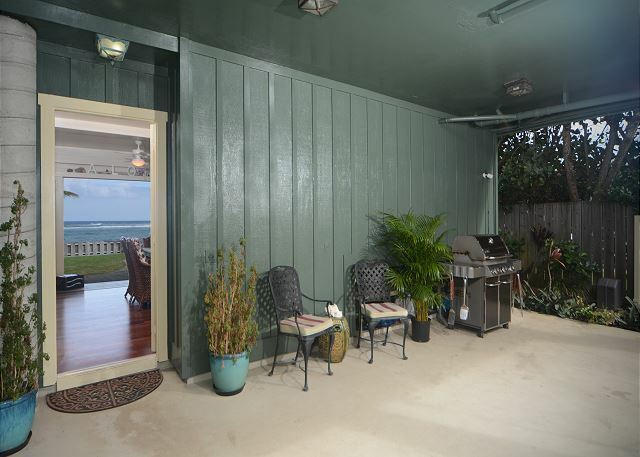 This is a nice house situated only a few steps from the beach. The house was nice, though needs some minor upkeep. I notified the rental agency about the bottom electronic lock being dead upon arrival and they gave us instructions quickly on the location of the house key. I also noted that a couple of the upstairs blinds were inoperable due to broken pull strings. Navigating the driveway is difficult in a minivan or equivalent sized vehicle. Other than that, the house was remarkable. We all were comfortable being on the Windward side of Oahu, with plenty of ocean breeze to stave off the humidity. 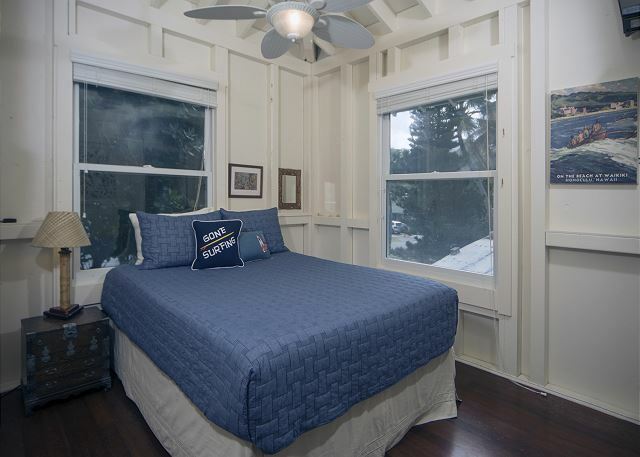 The beds are comfortable and the view from the rear of the house is spectacular. New applicants adorn the kitchen and the downstairs bathroom is splendid. 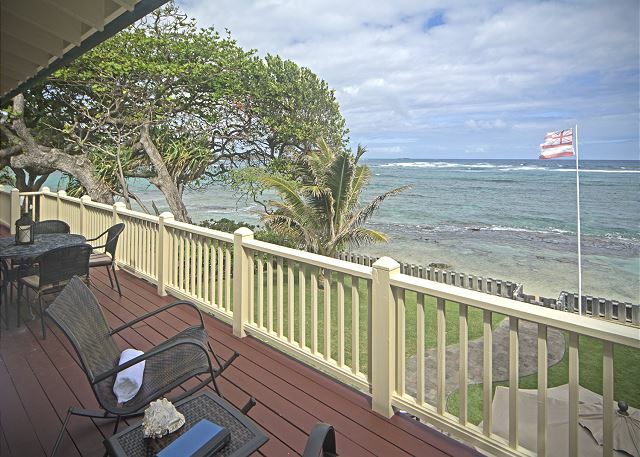 Given the opportunity to return to Hawaii in the future, I would seek out this house to rent again. The beach outside the house is rocky. Unless you want to walk further up the beach where it turns to mostly sand, I would advise buying water shoes, it made the beach a TON better. They supply plenty of beach towels so that won’t be an issue. Clothes washer and dryer provided in case you need to do laundry (may or may not need to buy laundry detergent). Manager Response: Thank you for the review, we are so happy you found the house "remarkable" and "splendid"! The owners spare no expense when it comes to maintenance and upkeep, so we thank you for informing about the blinds and have already purchased replacements. A little more info about the beach for prospective guests: Though there are rocks in the water directly in front of the home they actually create a little pool, a perfect place to to relax in calm water, especially for those with kids. Continue walking down the beach and mere steps away you will find that the water is not at all rocky. 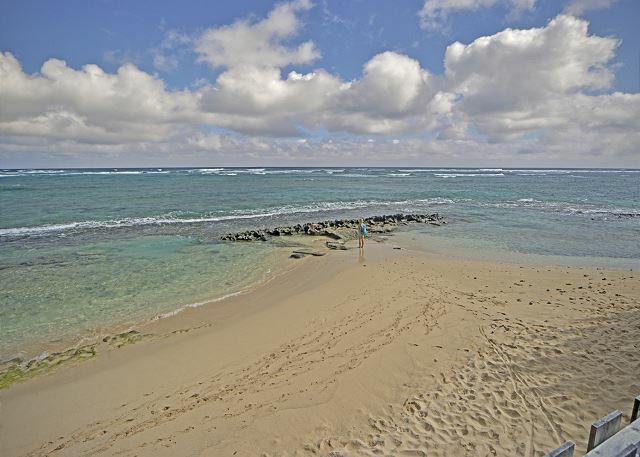 This beach is actually a bit of a hidden secret on island as it is swimmable year round and never crowded.